This highly-acclaimed winner of five Emmy Awards is one of the best-loved movies ever made for television. 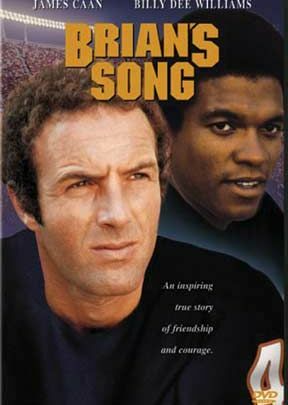 It's the true story of a special relationship between two professional football players, Gale Sayers (Billy Dee Williams) and Brian Piccolo (James Caan). Both star players for the Chicago Bears, Sayers and Piccolo soon become roommates and best friends. When Sayers suffers a knee injury in mid-season, it is Piccolo who prods and inspires him to work toward a complete recovery. Then fate deals a cruel blow: Piccolo is stricken with malignant cancer. The constant support and friendship of Sayers plays an important role in Piccolo's heroic fight against the disease. Also starring Shelley Fabares (TV's Coach) as Piccolo's loving wife, Brian's Song is a moving and unforgettable film.